The National Christmas Tree, in President’s Park outside the White House, sustained damage after a man climbed it on Friday evening. The National Park Foundation said in its statement Monday that the site was closed after the climbing and had remained closed because of the partial government shutdown. 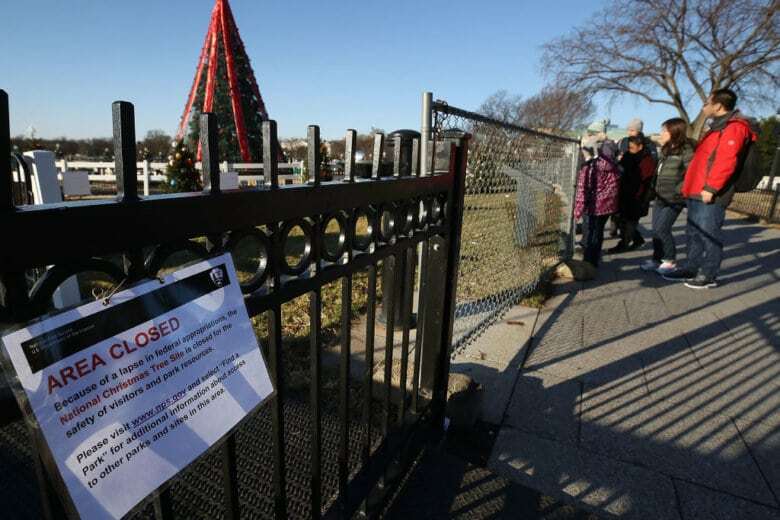 But support from the National Park Service’s charitable foundation allowed the site to reopen on Christmas Eve. “The National Park Foundation and hundreds of local philanthropic organizations and other park partners are always working to help ensure all people have access to our treasured national parks,” read a statement from Will Shafroth, president of the National Park Foundation. Opening the tree site costs $1,470 per day and the tree’s lights will be on from dusk until 10 p.m. Sunday through Thursday. On Friday and Saturday, the lights will remain on until 11 p.m. The President’s Park website said the park itself would remain accessible through the shutdown, although Park Service facilities and the White House Visitor Center would stay closed.